IT’S YOUR HOME. CONTROL IT. Make more out of time. Gain peace of mind, comfort, security and entertainment. It’s not about the technology. It’s not about the control. It is your life, and your home – Integrate It! Lighting control systems are one of the most common, but also the most underestimated, element of the home. It allows the mood, decor and the flow of the room to be changed. It even provides an aspect of safety when you’re not at home, but want it to appear as though your home is occupied. Lighting systems allow you to control all of this using just the touch of your hand. Save on energy, establish convienence and create a scene that gives your home light. When you choose to connect your home in Phoenix through home automation, you’re making the choice to seamlessly integrate all aspects of your life through one centralized system. Gain access to to entertainment, lighting, blinds, HVAC and security via one access point. With home automation, your possibilities are endless. Red Mountain Integration is proud to be one of Arizona’s certified Control4 Integrators. Create an environment of distributed video and audio throughout your home. A true home entertainment system can range from a luxurious design of a custom home theater room to a flush mounted HD TV located inside your wall. Enjoy your favorite audio source with speakers located in each room of the house or stream high definition video to any of your TVs. It’s your home choose how to be entertained. We create security systems to be intelligent. It’s peace of mind, home or away, right at your fingertips. Know whats happening at home from wherever you are. Imagine a security systems that knows your day schedule and sends alerts when someone enters the house, the garage door is left open, or if a leak is detected in the home. You can be assured that all is safe. This isn’t just an alarm system it’s personalized home security. Red Mountain Integration was created out of passion, a passion for technology and entertainment. We’re detail orientated, complex thinkers driven by processes. We only offer superior products and create innovative systems. This, coupled with an artful and sophisticated installation, ensures our clients receive nothing short of the best. It’s personalized home control and entertainment, designed to be seemlessly integrated into your lifestyle. Nearing a decade of systems integration experience in Arizona, Red Mountain Integration is committed to it’s customers. We are a client centric company and strive to exceed all expectations. We’re excited and honored to have the opportunity to serve you. Are You Ready To Explore A Life Of Control? We are always working hard to bring innovation and entertainment to you. 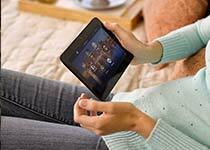 The Possibilities of Home Automation. Whether you are looking to start with one room or automate the entire house, Red Mountain Integration is your premier source for home automation in Arizona. We will design the smart home of your dreams and you better dream big, the possibilities are endless. Create a harmonious system of entertainment and control, personalized to your life. It’s your home , choose how you live in it. Save money and energy while enjoying a home of comfort. The ability to control your HVAC system is a simple one , but boy is it “cool”. Nothing is more important then the safety and security of your family . Rest assured that your home is safe while being 100% aware of whats happening inside and out. There is no better state than Arizona in terms of being able to spend time outside. Gain complete control of your pool, temperature, lighting and chemicals. It’s yours. Enjoy your favorite high definition video in anywhere in your home. Send music to every corner of the house, control the volume of each room on your phone or from the wall. Movie fanatic? 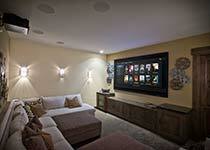 If you have the space, we’ll create the ultimate home theater and cinematic experience. Enjoy true high definition audio and video from the comfort of your home. Day parted scenes, automated blinds, energy savings and custom programed ambiance. All just touch away when we integrate your intelligent lighting system into your home. Aww… the beauty and excitement of true high definition sound. Crisp and life like surround sound that puts you into the center of scene. Hear us, when we say, we know sound. 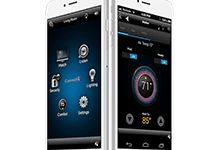 Our skills in the world of home automation and integration have been developed through experience. To provide world class technology and elegance we have become fully proficient at our trade. 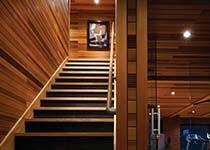 A home control system is custom built to fit around your lifestyle and needs. In order to better understand your goals, Red Mountain Integration, provides a free consultation on all projects. Fill out the form below to learn more about the endless possibilities of true home entertainment and control. 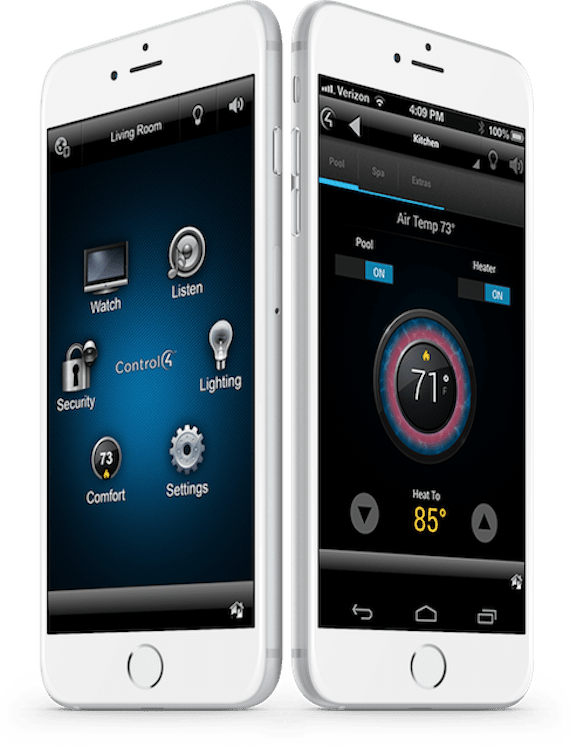 Nearing a decade of experience with home automation in Phoenix AZ, Red Mountain Integration, offers the highest quality service in the state. Contact us today for sales, services and installation of all home theater products and services.